Forest and Wood Products Australia (FWPA) will be working in partnership with the Australian Government to deliver two new innovative education initiatives valued at $200,000. 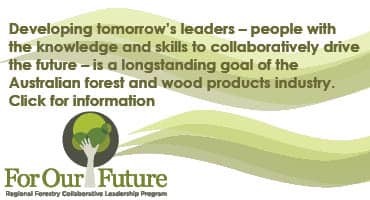 Announced today on International Day of Forests, the initiatives are focused on giving young people the education and resources to innovate and grow the Australian forestry industry into the future. They include a virtual reality project to teach young people on the renewable forestry story and a university competition to encourage research into novel uses of wood fibres. FWPA’s Managing Director, Ric Sinclair, said the initiatives will help young people to positively contribute to the forestry industry.